The persistently +NAO has dipped slightly over the past week, but remains very close to neutral. 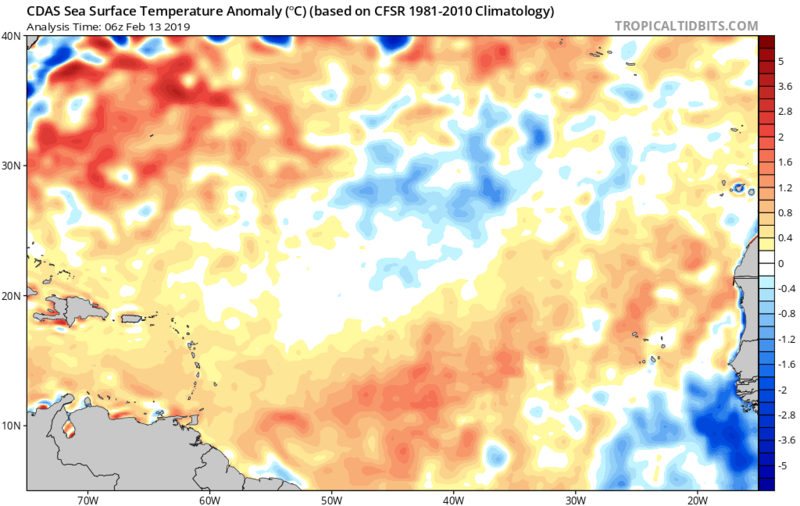 Despite this, the MDR has warmed significantly and is now above average. The sharp degree of warming relative to the modest relaxation of the +NAO may indicate the potential for a favourable SST configuration later in the year. 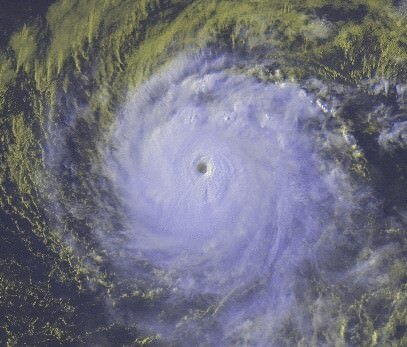 Of course, a -NAO would produce faster warming. Interestingly, the latest NMME, the average of several dynamical models, is in line with the latest ECMWF, showing (cool?) neutral ENSO during the peak of the 2019 season. As far as I know, the NMME and ECMWF tend to exhibit a cool bias in the Atlantic. 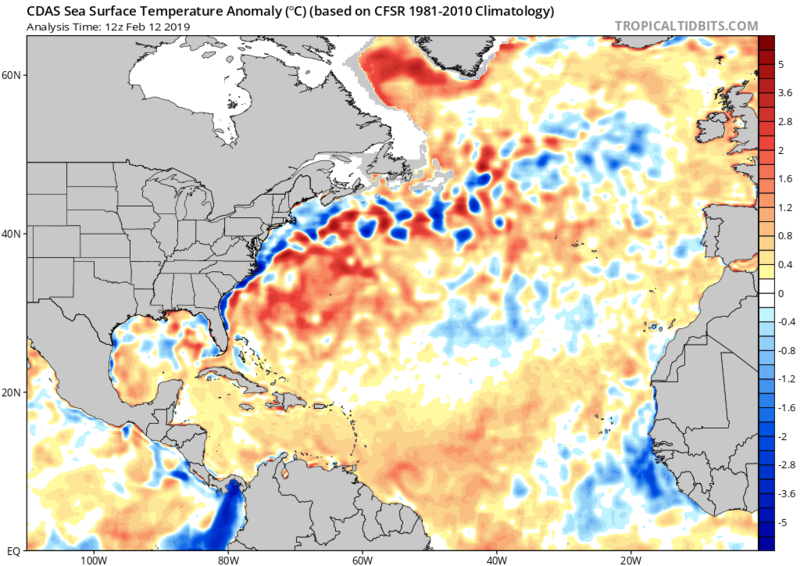 The CFSv2 is much warmer than these models in the MDR by May 2019. Taking into account all these factors, perhaps we may end up with a warm MDR and cool neutral ENSO in time for the peak of the 2019 season. If this were to verify, given the active African monsoon, I would expect a well-above-average season—perhaps not 2017, but more active than 2018. However, one must give some weight to the fact that the fourth year after a moderate/strong El Niño tends to be very active, especially with cool neutral ENSO. 1933, 1961, 1995, and 2005 are just a few examples. So if 2019 ends up as an above-average season, it is more likely than not to be hyperactive. It’ll be interesting to see how things play out over the course of the next several moths as the spring barrier is still out ahead of us. TSR is forecasting 12/5/2 as of December so the way I see it the numbers can only go up. On another note I believe regardless of the numbers that this could be yet another high-impact season. 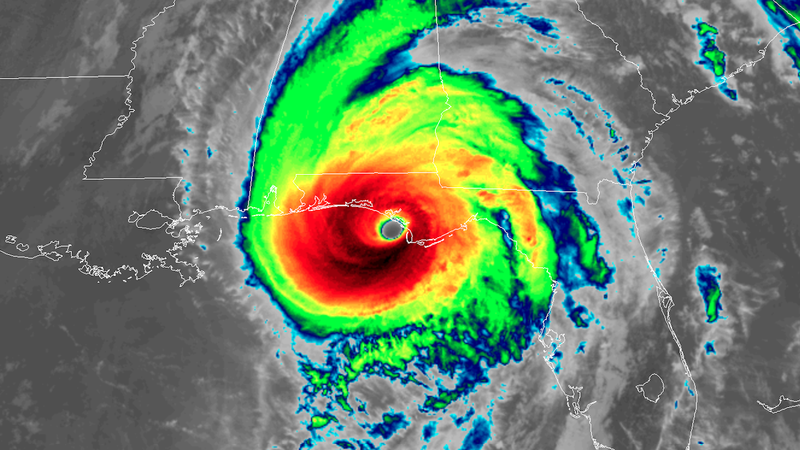 The steering pattern is just so different to the hurricane-drought years of 2006-2014/2015. I don't think that Kingarabian was taking Atlantic SST anomalies into account, but only those in the equatorial Pacific (which are used to measure ENSO). Agree. 2015 (w/ less extreme anoms) is what we'd head towards if Niño coupling begins in spring & leads to a stronger Niño next yr. The 2015 El Nino kicked off in mid-March. So there's still sometime left. Plus based on the buoys, the subsurface pool is strengthening and expanding. Bingo. Agree with all of what you said. We must wait and see whether the atmosphere favours continued subsurface warming and hence a back-to-back El Niño in 2019. Only major difference I see is the PDO. Much warmer then. That is a big outbreak. A tripole in a weak stage is in display but is Febuary and it may not last long however the forecast for a -NAO could extend it but let's wait and see how are things by the Summer. TheStormExpert wrote: It’ll be interesting to see how things play out over the course of the next several moths as the spring barrier is still out ahead of us. TSR is forecasting 12/5/2 as of December so the way I see it the numbers can only go up. What kind of steering patterns are you seeing that are different than those years you mention? 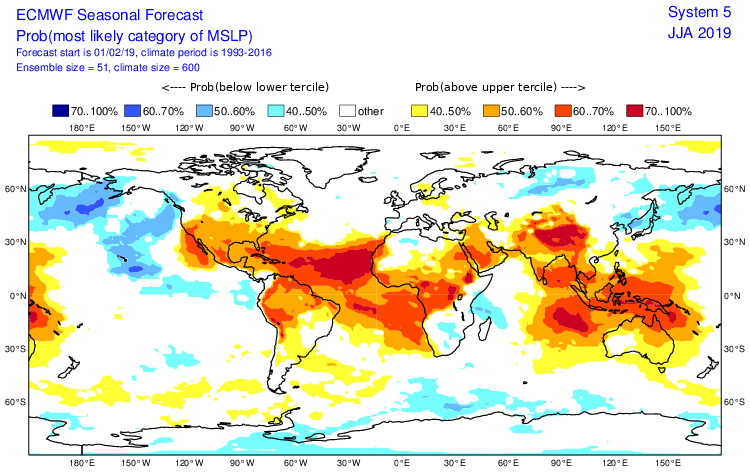 ECMWF Febuary update of MSLP for June,July and August.